This entry was posted on February 15, 2010 at 12:34 AM and is filed under Obama, politics. You can follow any responses to this entry through the RSS 2.0 feed. You can leave a response, or trackback from your own site. freaking morons. Bush and others did the same: http://wonkette.com/413753/black-man-puts-his-feet-on-desk but I’ll bet you’re a-ok with him doing it. 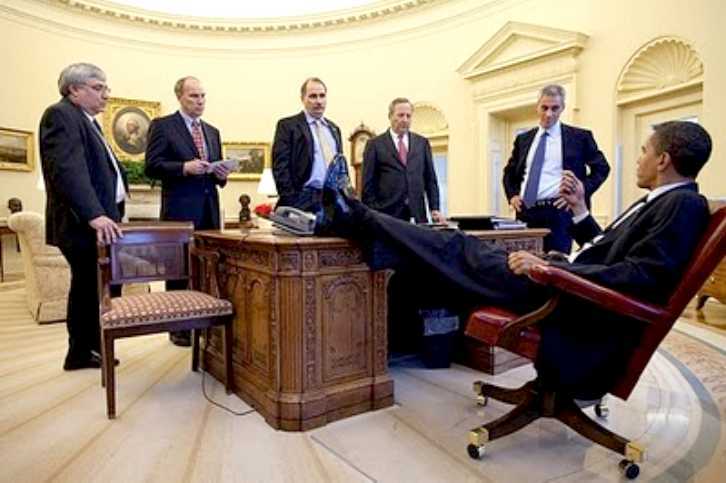 No, I don’t approve of Obama, Bush or anyone else putting their feet on the desk. 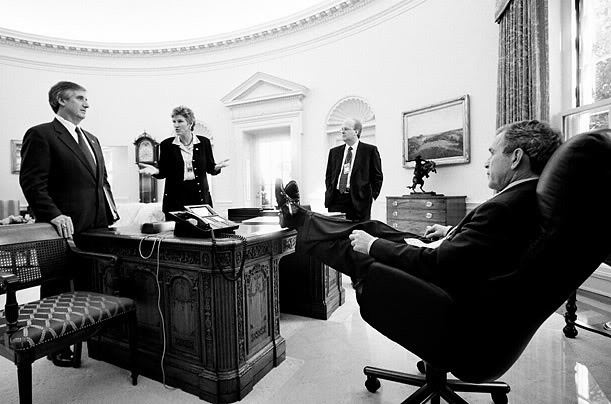 The Resolute Desk was a gift from Queen Victoria and should be treated with respect as a national treasure. It is one of a pair of desks built from the timbers of the British ship HMS Resolute, commissioned by the queen, and presented to President Rutherford Hayes in 1880. Good Picture! A perfect example of Obama’s arrogance and lack of dignity as a president. It just shows disrespect and lack of manners of a president.